I've been brewing my own kombucha for about a year now, and I've had some requests to blog about it. So here we are. Our whole family drinks kombucha! Conor has been a slow recruit, but the boys love it, especially Finn. I love the slightly bubbly effervescence first thing in the morning. The energy boost I get. And how amazing it is for my gut. 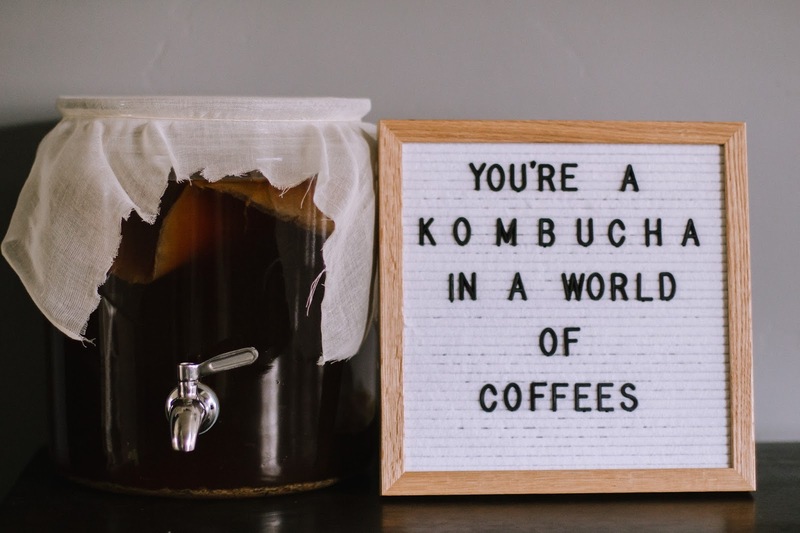 Everyone should have fermented foods in their diet daily, and kombucha is about the best way to get those probiotics in my opinion! I truly look forward to my morning booch! 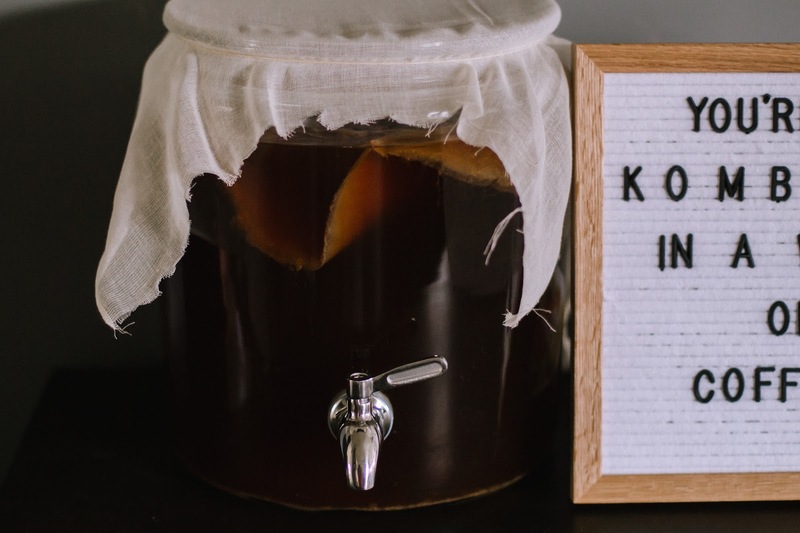 First a little PSA about kombucha: currently, there are no FDA guidelines as to what exactly kombucha has to be, or rather, has to contain. Therefore, companies can slap the name "kombucha" on anything right now. 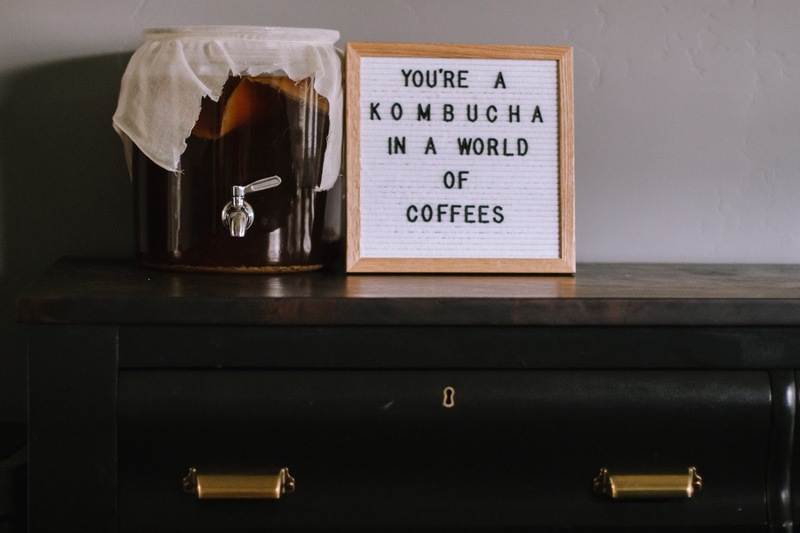 Kombucha is trendy and is grasping a huge chunk of the beverage market, so companies are capitalizing on this. Coca-Cola has come out with their own version (Kevita) along with many others. Much of the kombucha you can buy in the store is full of sugar! So watch out! If I'm buying kombucha at the store I pretty much stick with either G.T. 's Synergy or Humm. Both are good quality brands. But even still, some of the flavors can get a little high in sugar content. I like to only buy flavors with under 4 grams of sugar per serving (most bottles are two servings). The book is a wonderful place to start if you have never brewed your own booch before, but if you are already familiar with brewing, than I would say skip that purchase. It does have amazing flavor ideas, but that's about all I took away from it. When I first started brewing, I brewed in small batches; which was a good start, but I'm so happy I switched to a continuous brew system! After I saw a friend's setup, I realized how much easier it would be to bottle straight from the spigot! 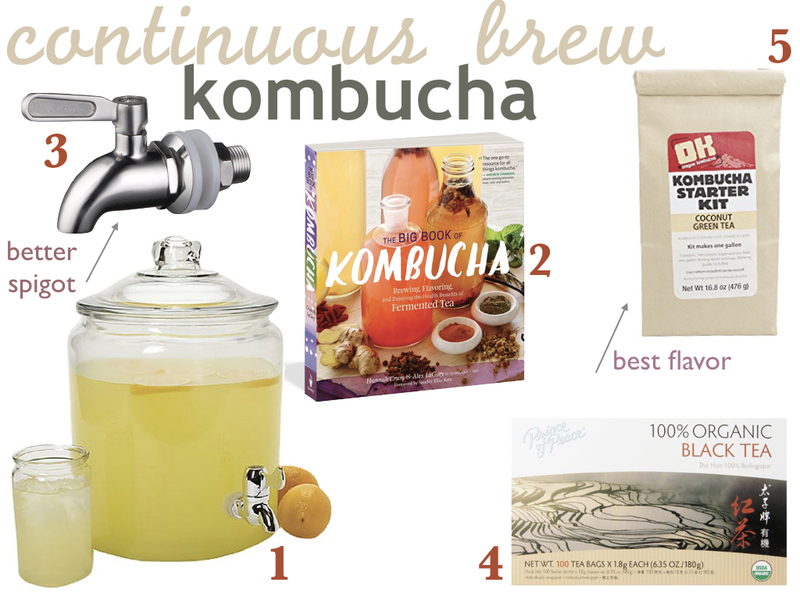 I also like brewing 2 gallons at a time instead of just 1, especially with how much kombucha we drink in our house. Plus I love the contamination risks are lower since you aren't constantly scooping into the batch to see if it's done fermenting. You can simply pull a sample taste from the spigot. I always do my second ferment after I bottle, which is when I add my flavors. I love being creative here, with some flavors turning out waaaaaay better than others. It's all an experiment! I'll have to share this with my mother-in-law. She is growing her own kefir for immunity to antibiotics. She might like to try this if she hasn't! Everyone in my house loves "boocha" (as the girls call it) but me. I cant get past the snooty consistency of the scoby! But I totally love the idea of making your own flavor combinations and saving money!